I've started exploring an open dataset that should be very useful for research on residential solar energy (for example studying energy self-consumption with a PV-battery system). 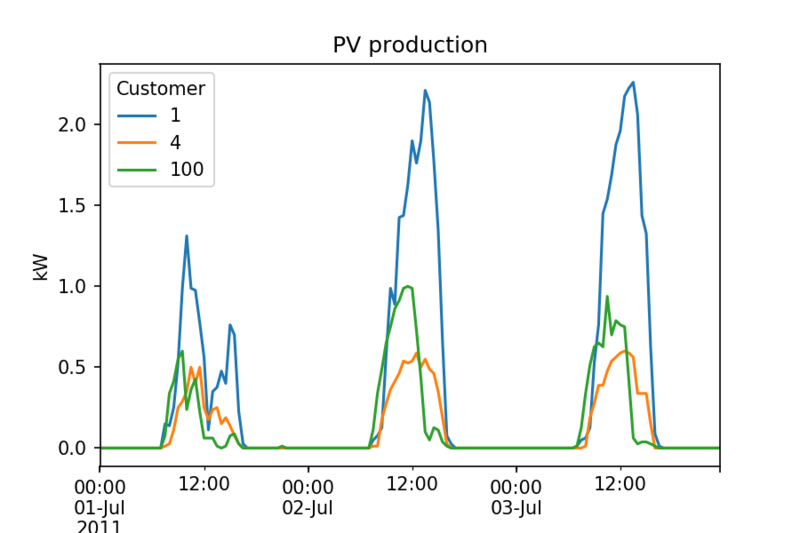 My Python code to manipulate this dataset and some preliminary studies (simple statistics) is freely available on Github: https://github.com/pierre-haessig/ausgrid-solar-data. This data exploration code is extensively using pandas (for slicing, grouping, resampling, etc.). The “Solar home electricity dataset” is made available by Ausgrid, an Australian electric utility which operates the distribution grid in Sidney and nearby areas. with a 30 minutes timestep. Many more plots and statistics are given in the Jupyter notebooks available on the Github repository. Also, the exploration of this dataset was an occasion to discover the Google Maps Geocoding API. Indeed, the location of each anonymous customer is given by a postcode only. To enable quantitative study of the spatiotemporal pattern in PV production, I've tried to locate this postcodes. The Python code for this is in the Postcodes location.ipynb Notebook. Map plotting is done with cartopy. 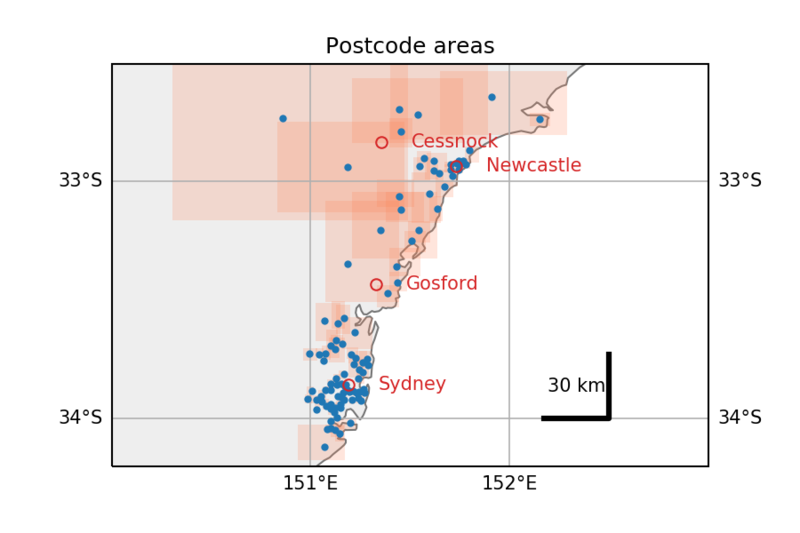 Extracted from this notebook, here is an overview of the locations of the postcodes present in the dataset (in Australia, NSW). Red rectangles are the boundaries of each postcode, as returned by Google maps (small in urban areas along the coast, gigantic otherwise). I've put online a new page dedicated to research seminars for promoting "Efficient Tools" within my colleagues. First seminar (April 6, 2017) was on YALMIP and similar tools for easy optimization modeling. For the occasion, I've had some fun creating a dedicated poster heavily inspired by E.T. Dans le cadre de la Journée Nouvelles Technologies du CCMO, j'ai fait une présentation intitulée "Enjeux énergétiques par le prisme d'objets du quotidien". Voici les diapos (pdf). Cette présentation était à destination d'enseignants de science en lycée. L'idée était d'utiliser des objets de la vie courante (bouilloire, frigo) pour rendre plus concrètes les notions d'énergie et de puissance. Exemple : une batterie de téléphone portable ≈ 5 Wh. En matérialisant ces notions, on peut aider à construire un regard actif/critique sur l'enjeu citoyen qu'est l'énergie. La présentation comprend aussi une comparaison entre 2 moyens de production autonome d'électricité : groupe électrogène et panneaux photovoltaïques. Coût d'investissement faible pour le groupe électrogène, mais coût élevé du carburant. C'est bien sûr l'inverse pour le solaire : investissement onéreux, mais "carburant" gratuit. 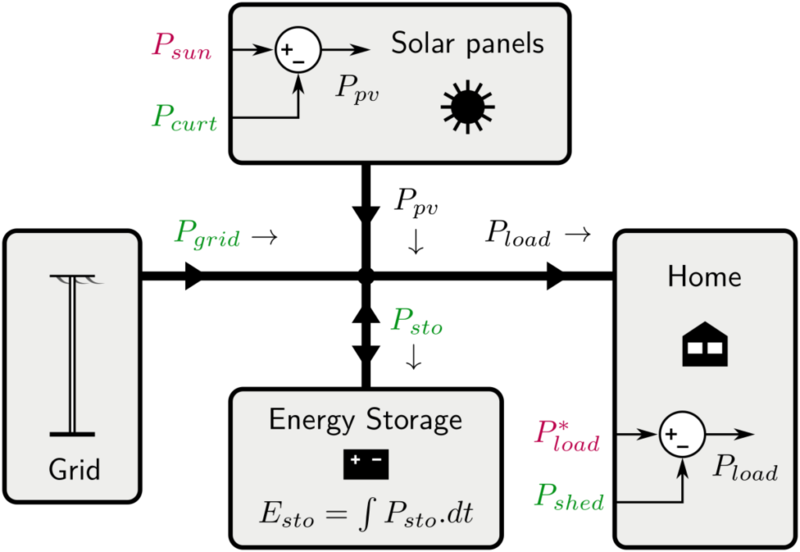 Pour l'analyse de la ressource solaire, j'ai utilisé les graphiques et les données de PVGIS (Photovoltaic Geographical Information System). Au final en moyenne annuelle, on peut espérer 4 kWh/m²/jour soit 1450 kWh/m²/an. Par rapport au sud de la France, Rennes n'est donc pas si défavorisée, puisqu'on n'atteint en Côte d'Azur "que" 2000 kWh/m²/an (cf. la jolie carte du potentiel de solaire de la France). Par ailleurs, en préparant cette présentation, je suis tombé sur le blog richement alimenté "Do the Math" de Tom Murphy, professeur à University of California, San Diego, et qui creuse justement la question des enjeux de l'énergie. I've started to play with the pretty nice Cozir CO2 sensor from GSS. This relates to research projects on air quality control. For testing purpose, the sensor is connected to my computer through a USB-serial converter cable. In order to communicate with the sensor (e.g. grab the CO2 concentration data), I've written a bit of Python code to wrap the low-level ASCII communication protocol into a higher level, more compact API. Also, the repo contains a basic logging program that can be customized to anyone's needs. Tested for now with Python 2.7, on Linux and Windows. Fake Wind Energy Conference ? The purpose of this letter is to formally invite you to be honorable Speaker for the upcoming "World Congress and Exhibition on Wind Energy" during June 15-17, 2016 at Berlin, Germany. The conference highlights the theme “Future Wind Energy Technologies”. The program is a rich mix of formats ranging from keynote sessions featuring many well-known and thought provoking speakers to intense and highly interactive discussion sessions. Wind Energy-2016 is a remarkable event which explores the technology to showcase mature technologies from lectures, panel discussions, debates by world renowned experts who will discuss the latest advances in wind energy production and planning. Your contribution and knowledge in the field pulls our attention to keep the proposal of joining our conference and enlighten the audience with your knowledge and experience. It would be our honor to have an eminent delegate like you in our summit. I would be glad to answer your queries in this regard. This really looks like an automated email: not any specific words about my "contribution and knowledge in the field". Only my name, and the words "Wind Energy". Not even a specific list of topics or keywords related to Wind Energy (could be "offshore", "grid integration", "wind power forecasting"). Also, the conference website (http://www.windenergy.omicsgroup.com/) is pretty empty, with no visible organizing and scientific committees. Clearly this seems a fake conference. It's not the first time I receive such an email, so I wonder: what is the business model of this OMICS Group company? What do they want, how do they make money? Is it some kind of hidden travel agency for researchers? Also, will there be any actual people gathering for this conference in Berlin in June 15-17, 2016? Author pierrePosted on April 27, 2015 Categories UncategorizedLeave a comment on Fake Wind Energy Conference ? full offline mode support: no more need of an Internet connection after the first usage. This is achieved using a AppCache manifest file. 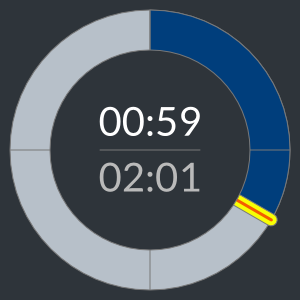 This timer simply works in a (recent) browser: http://éole.net/timer/. On a desktop/laptop computer, using the fullscreen mode gives the best result. I may take the time to add the necessary manifest file to turn this web app into an actual hosted Firefox OS app.